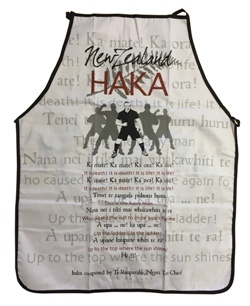 Practice your Haka with this White Haka Apron. It is death! It is death! It is life! It is life! A Upa - ne! A Upa - ne! Up the ladder! Up the ladder! Upane Kaupane Whiti te ra! Up to the top where the sun shines!